At OneDesk, we believe in listening to customers and always encourage organizations to do so. We take all customer feedback and ideas into consideration and do our best to provide the best customer experience based on the information we receive from customers. Thanks to our customers, OneDesk’s bug manager was born. 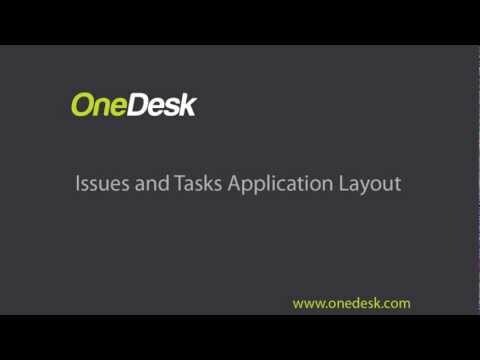 Before the bug manager existed, OneDesk users had no way of tracking issues and defects within the system. Our customers realized that they could use OneDesk for customer service, project management, and product management, but some found that the software lacked a component that would better suit their roles. Therefore, we added a bug manager, known as the issue tracking application. With this, companies now have a way to track issues and use OneDesk for software development projects, IT project management, web development, issue reporting and many more. Track issues and tasks together. The benefit of this is that you can combine agile project management with defect fixes, into a complete project. Full traceability across projects and issues. Create issues from feedback or link feedback or requirements to issues and tasks – this way, you will understand where the issue is coming from and access a history of conversations around it. Better project planning. View product roadmaps that combine new feature development with issue fixes. Choose how to manage your views. View all tasks and issues assigned to you, created by you, only issues or only tasks. Just remember, you must be in the “flat list” view to manage your views. Attain organizational benefits. Reduce risk, improve time-to-market and best of all, lower product costs.